The German government has mounted an aggressive campaign to encourage illegal migrants to leave - bribing them with free rent for a year in their home countries. "Your country. Your future. 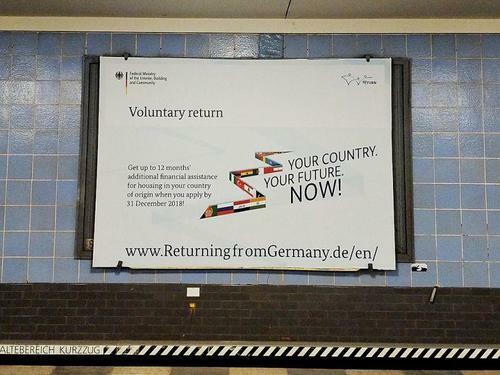 Now!” read billboards in seven languages, plastered in nearly 2,500 locations across 80 German cities, reports the National Post. ...Perhaps the cash incentive will turn out to be more successful than Britain's approach when Prime Minister Theresa May had vans drive through neighborhoods with billboards reading "Go home or face arrest." Her initiative resulted in just 11 voluntary departures.